The man behind a new online freelance marketplace believes its focus on trust, reliability and security will establish it as a platform leader. 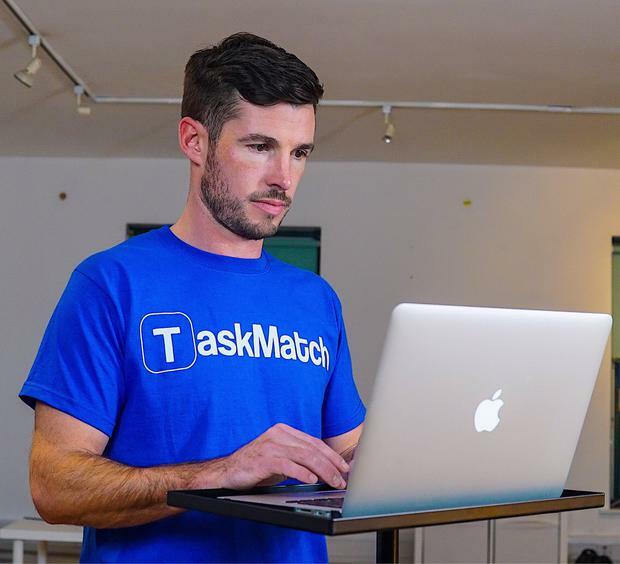 TaskMatch allows its users to either post or find tasks for free, with payment only made – via Stripe – when the job is completed. Co-founder Conor Lyons (35) said that, by establishing public profiles for each freelancer, complete with reviews, the tech firm fills a market gap. Having studied as an audio visual engineer and electrician, Conor emigrated to Australia over a decade ago working for a number of firms before setting up a smart home and AV installation company based in Perth. He operated this for three years before returning to Ireland and setting up a similar business, serving commercial and residential clients throughout Dublin. “Ireland was always in my mind to come back, it was always home to me. So I decided to sell up my first business to set up a smaller one here,” he said. “In my line of work, I’ve always had people calling me for recommendations, asking if it would be myself calling out as people like to know who they’re getting to do a job. No matter how large the industry, or what the job is, customers want to know who’s going to knock at the door. The TaskMatch concept was brought to Enterprise Ireland late last year and the small team completed the six month entrepreneur development New Frontiers programme. After building the platform, the company launched softly to friends and family earlier this year and are now bringing it to the wider public’s attention. “We currently have over 2500 registered users across several different sectors in Dublin, and expect to reach 3,500 by the end of 2018,” said Conor. Users can choose from hundreds of different available tasks, ranging from delivery and cleaning, to trades, business, admin, and events and marketing. All of the investment into the firm to date has been from personal savings and from Enterprise Ireland but TaskMatch will be looking for external investment when the user activity ramps up.